I think I now have a clear picture of the evolution of Public Baths in Wolverton. The first building was proposed in 1846 and probably built shortly thereafter. It was located between Cooke Street and the canal at the north end of town. The plan shown here shows the northern part of the town in 1845-6. This area is now the Tesco car park. The baths are the red rectangle beside the canal. This was where they were located. This plan shows the layout. There are two separate entrances, presumably one for men and one for omen. These baths did not have a long history, because in the mid-1850s they were cleared along with the streets to the north of the Engine workshops to make way for workshop expansion. At this time a new Water Works was built at the bottom of Green Lane on Ledsam Street. It was built with strongly reinforced walls to support a water tank, and it became know as the Tank House. 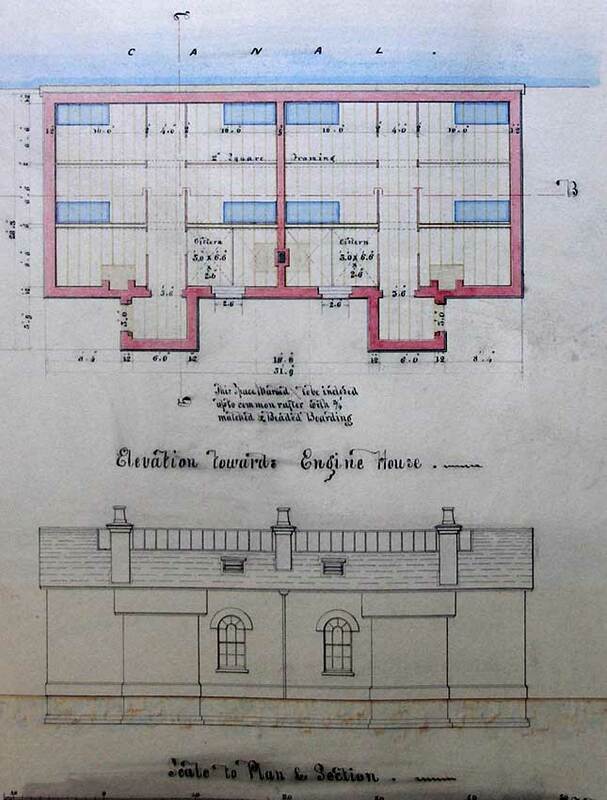 The public baths were then relocated here and continued to provide this service until 1891 when the Public baths were opened on the Stratford Road. A new water tower was constructed further up Green Lane to provide for the expanding town, and this tower remains, although it may not now be in use. The Tank House was then converted into a reasonably spacious residence for the schoolmaster in 1892. The ground floor plan is shown below. You can see how thick the outside walls were and I imagine it was relatively warm in winter. This building went with the “Little Streets” clearance in the 1960s. The Public Baths on the Stratford Road were built in 1891. The building still stands and was modified a few years ago to accommodate the offices of the Living Archive. I have been addressing myself to what existed before that. 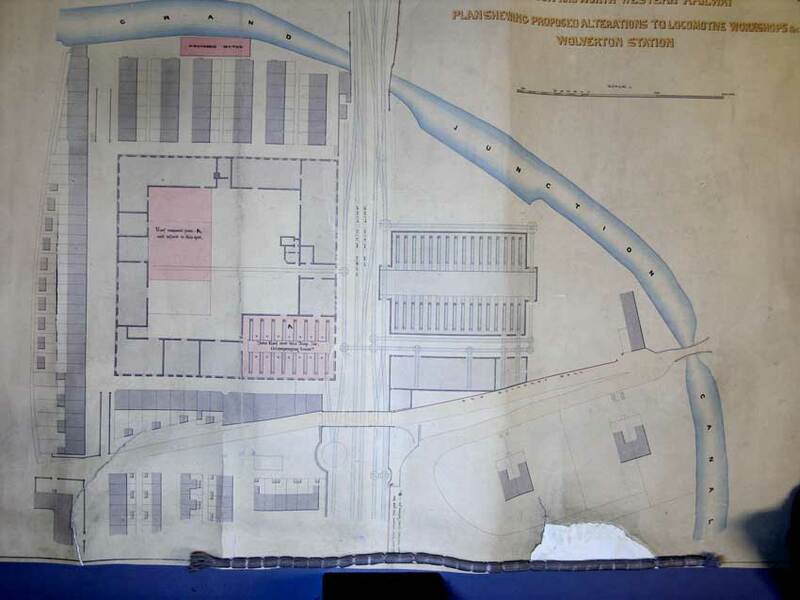 There are some drawings in the National Archives dated 1856 for a proposed bath house to be located beside the canal at the very northern edge of the town, just to the north of Walker Street, which was demolished before 1860. I do not know at this stage if they were ever built. Certainly they could have been and functioned alongside the extended workshops. I have also read in the Wolverton Society for Arts & Heritage website that there were baths on Green Lane prior to the 1891 baths on Stratford Road. If so I am not sure where they would be. Green Lane was not developed until the 1890s. 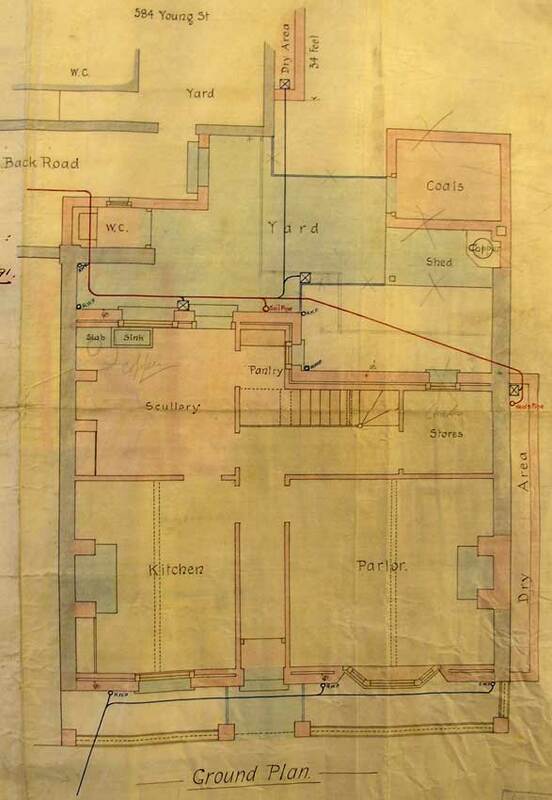 There was however a “Tank House” or “Pump House” at the bottom of Green Lane on Ledsam Street. It housed a pump and supported a water tower but I had not heard before that this was used for public baths. It was not an especially large building and in the 1890s was converted to a residential house for the schoolmaster.